A new article published in Mobilities looks at ports as a key part of the logistical infrastructure of the global economy. It argues that both recent security and mobilities literatures are placing too much emphasis on supposedly all-encompassing global technologies to govern them. 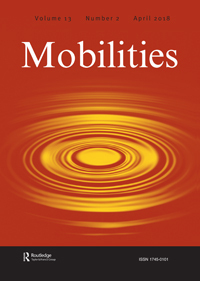 It uses a controversies approach to develop a greater sensitivity to the diversity in the global makings of mobility and security. By looking at the port of Dar es Salaam, it reveals how controversies result from variegated understandings of situated political economies and offer a unique window to reveal more diverse and contested landscapes than is suggested by the literature. Three controversies are analysed: 1) cargo security; 2) delays in dwell time; and 3) enhancing Dar port versus building a new port in Bagamoyo.